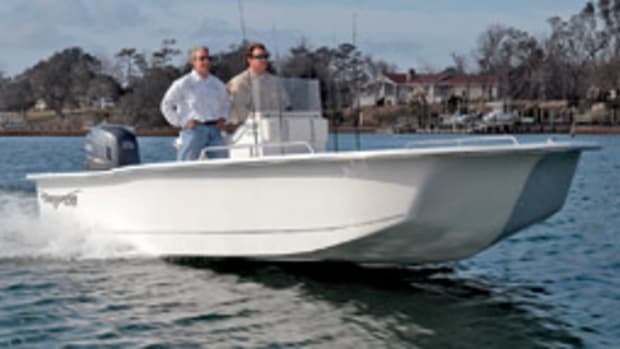 When you think of Carolina Skiff, the boat that likely comes to mind is bare-bones, highly functional and has a flat bottom and no deck liner. Like an increasing number of builders, however, the Waycross, Ga., company has been diversifying. The Ultra Elite SS and Ultra Elite series comprise four new center consoles from 19 to 25 feet, with nicely finished liners, more seating and amenities, and an upgraded fit and finish. 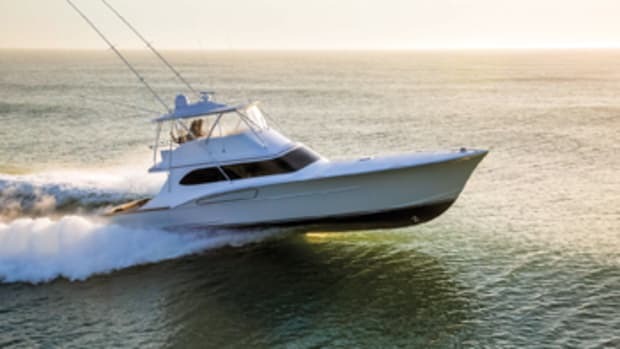 The two larger models — 23- and 25-footers — make up the Ultra Elite SS series. 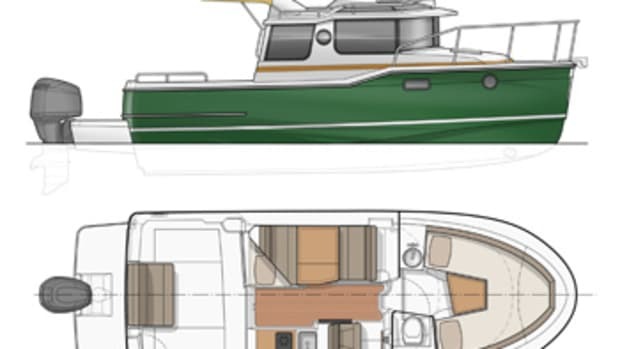 To deliver a soft ride in a chop, the builder uses the hull design of its Sea Chaser bay boat while maintaining the shallow draft of the Carolina Skiff hull (9 to 12 inches), Sass says. 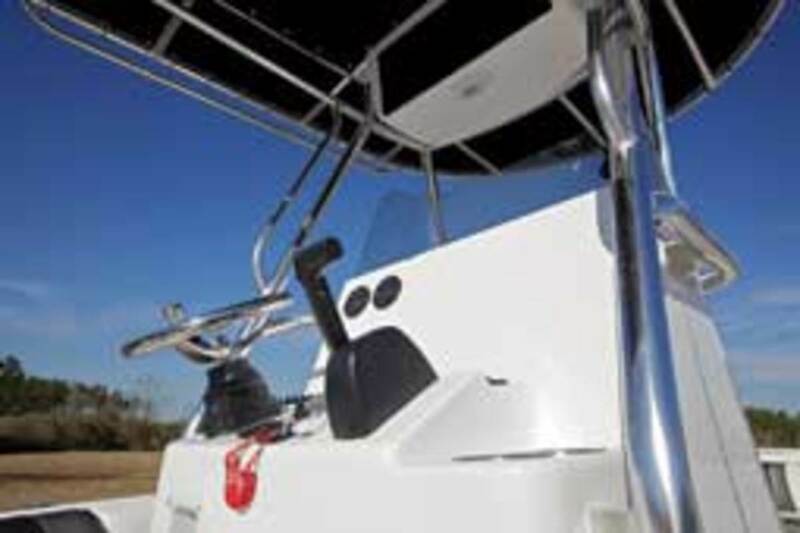 For day cruising, the SS boats are outfitted with U-shaped cushioned bow seating with a table, both of which can be easily removed for fishing, Sass says. 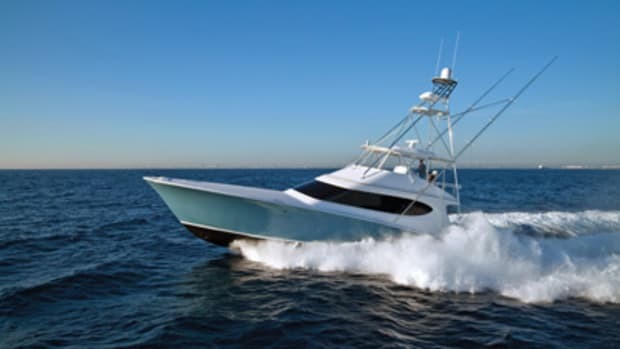 Standard equipment includes fore and aft coaming pads, recessed stainless bow rails, rod holders, a walk-in console with a portable head, a cockpit bench seat and a transom sink with a hideaway faucet. The 23-footer hit the market first. 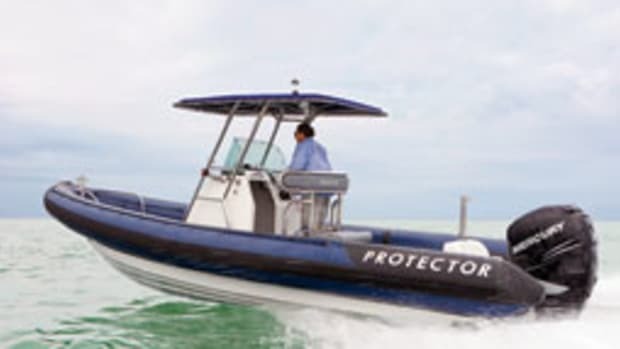 A single 200-hp Suzuki pushes the boat to a top end of 48 mph. 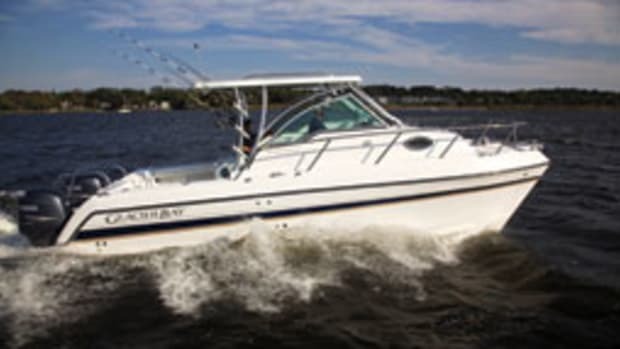 With the throttle at 3,500 rpm, the boat cruises at 28 mph and gets 3.7 mpg. 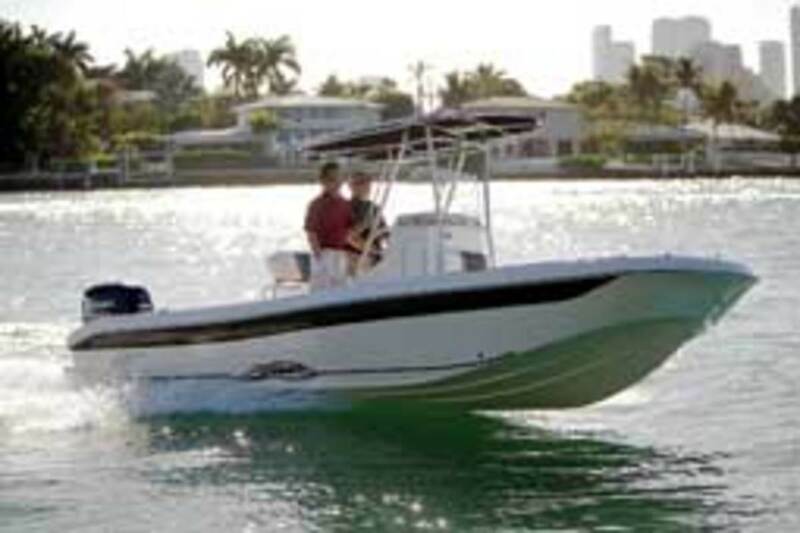 The 23 can take up to a 250-hp outboard. Maximum horsepower for the 25 Ultra Elite SS, which the company expects to be available by mid-June, is 300 hp. 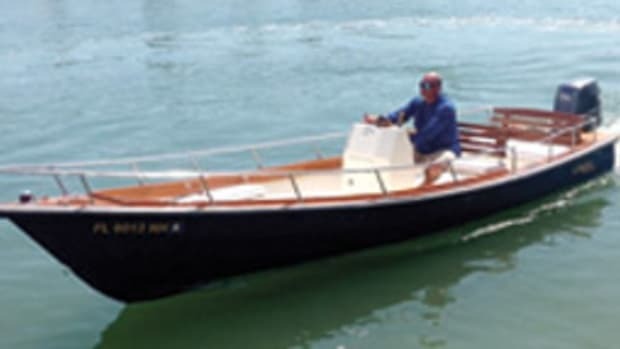 Carolina Skiff does not rig the propulsion for its boats, and the base price for the 23 is $26,428. A Suzuki DF200 retails for about $20,000. Base price of the 25 was unavailable. The Ultra Elite series comprises a 19-footer (LOA: 18 feet, 11 inches) and a 21-footer (LOA: 20 feet, 10 inches). 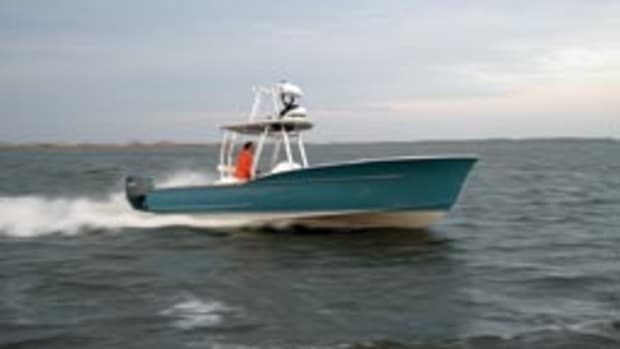 Click here to find more Carolina Skiff boats.